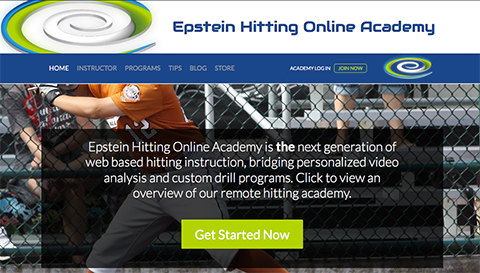 World-renowned baseball hitting instructor Jake Epstein uses his website to offer personalized online hitting instruction through the use of video analysis and customized baseball drill programs. Jake’s online hitting academy allows him to instruct students in a web based environment, as well as schedule and book appointments for hitting lessons he offers in person. His custom website uses parallax scrolling and stacked widget modules that display short snippets of information to create optimal engagement for his website visitors.